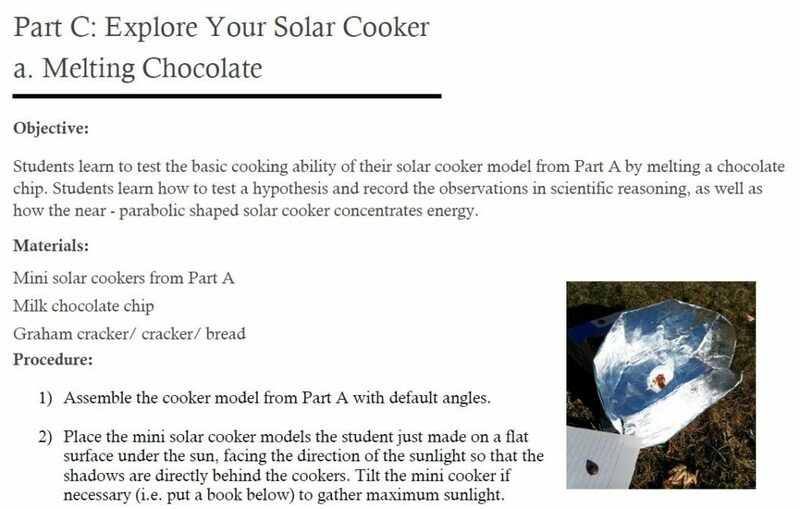 Teach your kids about physics and math using the solar cooker SolSource! 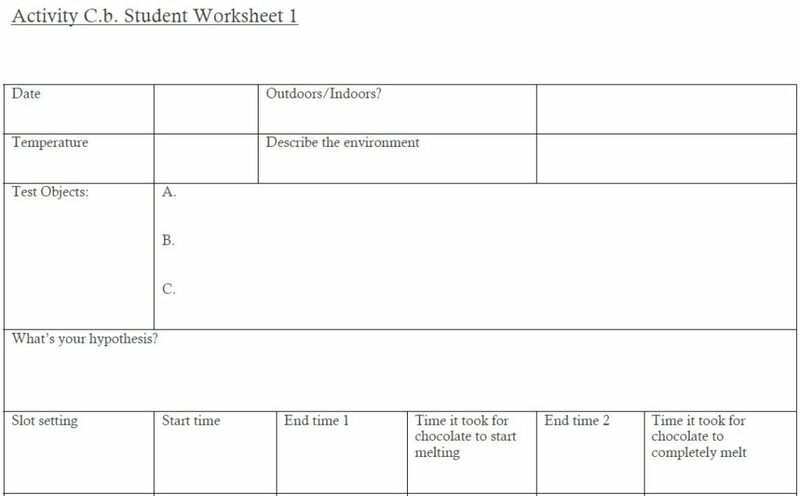 Download the full lesson plan here. 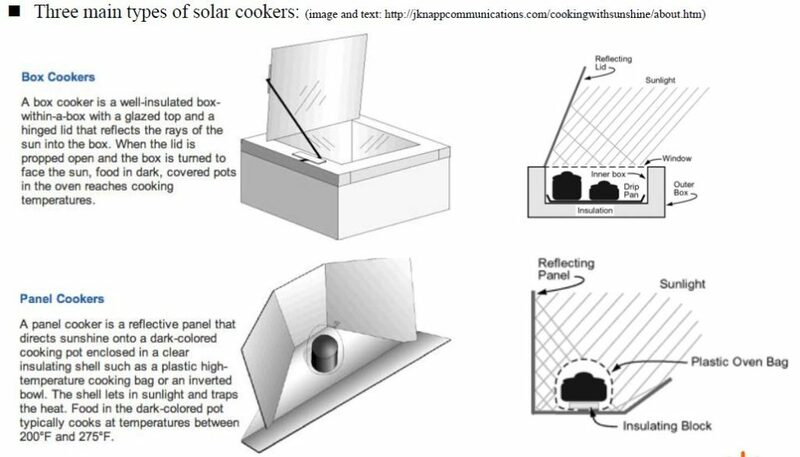 Parabolic solar cookers are a trend of innovative cooking device that harvests sunlight, one of the most abundant and sustainable energy sources, to cook. 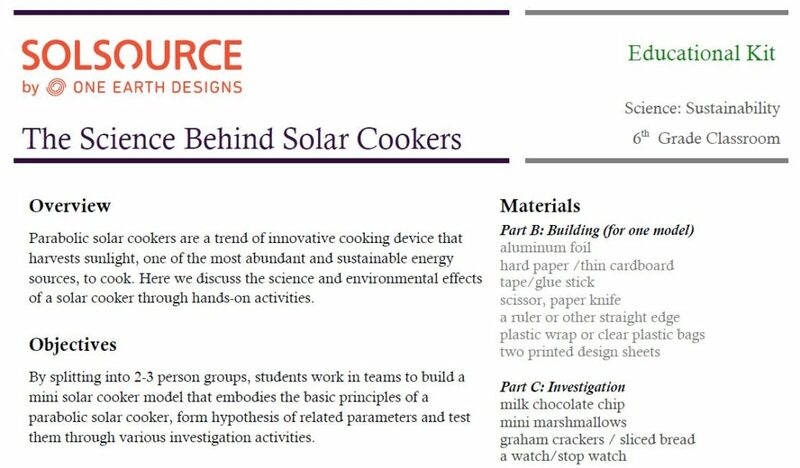 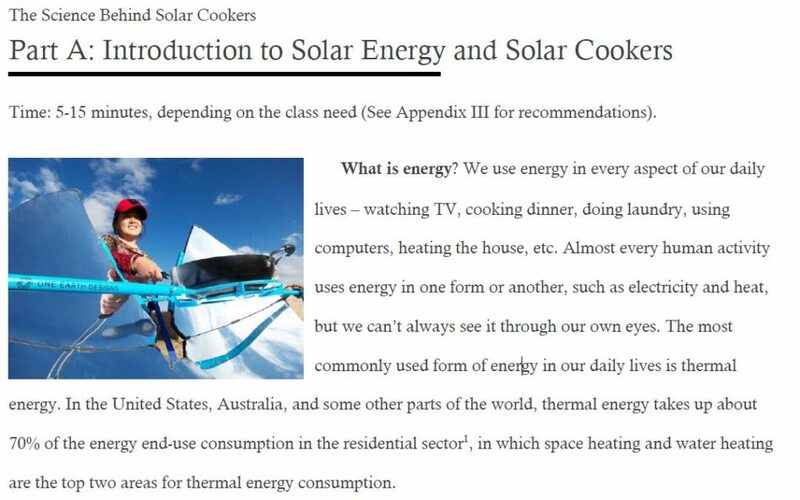 Here we discuss the science and environmental effects of a solar cooker through hands-on activities – perfect for teaching children about physics, math and even the environment.